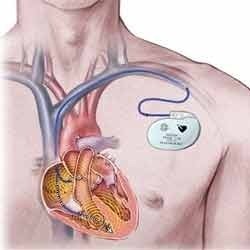 Our product range includes a wide range of artificial ce certified best quality cardiac pacemaker, single chamber non rate responsive implantable cardiac pace, 2017 artificial implantable heart pacemaker, heart pacemaker, rate responsive dual chamber cardiac pacemaker and veterinary cardiac pacemaker. Aimed at prosper growth in this field, we are occupied in providing finest quality Veterinary Pacemaker. This veterinary pacemaker is used for regulating the heart beat of the people by the aid of a medical device. 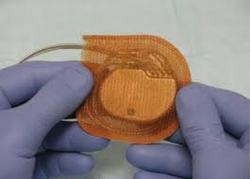 Also, this veterinary pacemaker provides a way to regulate the animal's heart rhythm. 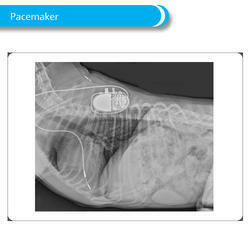 The offered veterinary pacemaker is checked by quality controllers so as to deliver a defect free range from our end. 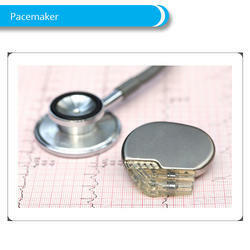 We have emerged as a leading manufacturer, exporter & supplier of premium quality Heart Pacemaker. 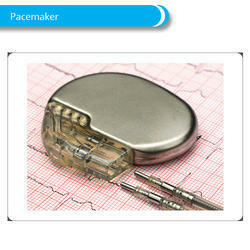 Our heart pacemakers are provided in finest packaging options for ensure its quality at customer’s end. 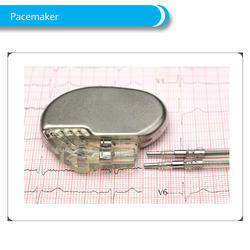 These heart pacemakers are made by using optimum quality material as per with market norms. 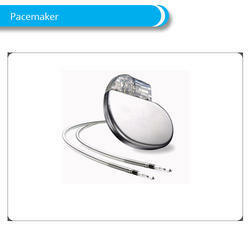 Customers can avail these heart pacemakers from us in standard size. 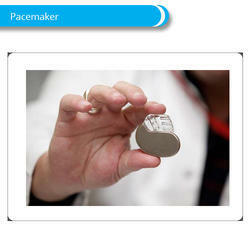 Looking for Cardiac Pacemakers ?